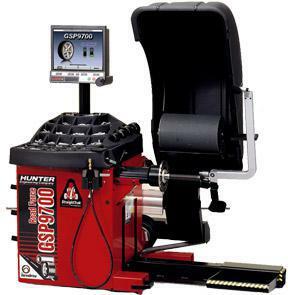 Mr. Gee's Tire Corp. has the state of the art Hunter Wheel Balancing System, which provides a tire assembly “road test” while mounted on the unit. Locates and eliminates virtually every cause of wheel vibration relating to the tire and rim. Features StraightTrak® LFM which eliminates tire-related pull problems by balancing lateral forces on the front axle and SmartWeight™ Balancing Technology.